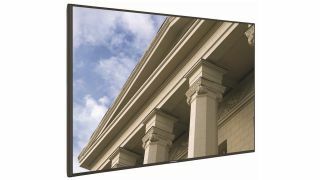 The What: Christie has added to its lineup of LCD flat panel displays with the new Secure Series, designed for use where top security is paramount. The What Else: The new Christie Secure Series of flat panels is designed for secure facilities including government, corporate, and military environments, and other facilities that require security at all times. Trade Agreement Act (TAA) compliant without RF functionality, the first two models available are the Christie SUHD551-L and Christie SUHD651-L.
Crestron supported, both models come with a three-year parts and labor warranty backed by Christie’s customer service. The Bottom Line: Well suited for meeting rooms, control rooms, and digital signage applications, the Secure Series includes professional features such as OPS slot, UHD resolution, and USB playback in a secure, reliable, and affordable package.